Stylish golf front condo in desirable Longleaf Golf and Family Club community. This beautiful unit is an end unit and provides much light through its many windows and skylights. It sits between the 3rd and 4th hole and has spectacular views of the course and woodland area. The home includes 2-3 bedrooms with 3 full baths, living room, dining room, kitchen, jacuzzi bath in Master, wet bar, deck, and carport. 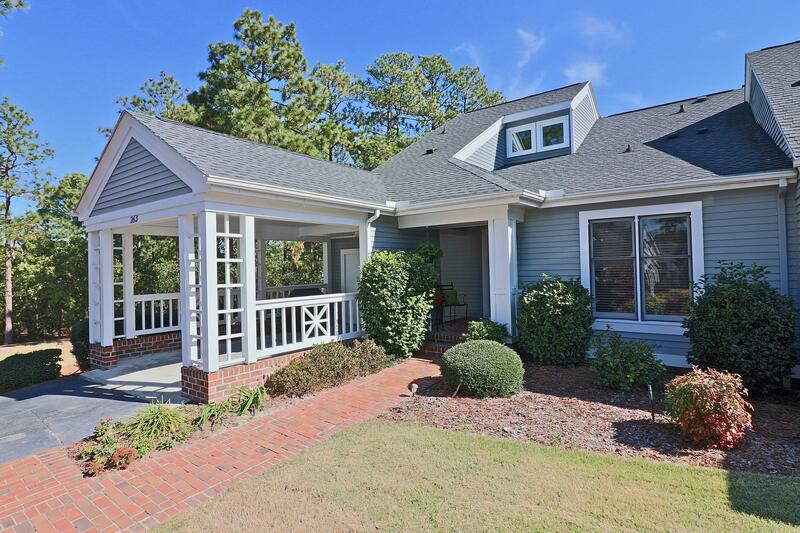 It is conveniently located between Pinehurst Village and Southern Pines. Easy access to restaurants, shopping, and top-rated golf courses. Newer upgraded features include: Roof, Ventless Gas Fireplace, Refrigerator, Range, tile bathroom floors, wood floors, carpeting, and two Pella ''e'' windows. Owner currently has a Home Warranty that is transferable.